Your family will love being a part of Sydenham Kindergarten. We offer three and four-year-old kindergarten programs with great facilities, a warm and friendly environment and experienced and nurturing educators. We are conveniently located in the heart of Sydenham's community, within the community centre precinct on Community Hub. 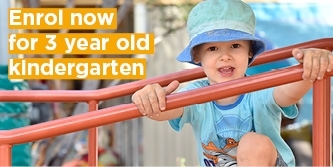 We believe kindergarten is an integral part of children's self-awareness, independence and socialisation. 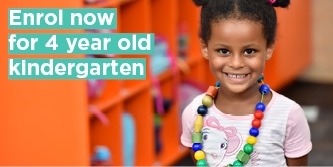 It is the first step in children’s lifelong learning journey and forms the foundations for their transition to school. We offer a play-based learning program. Our curriculum embraces the Early Years Learning Framework and is based on children’s strengths and interests. Our learning programs are flexible and adaptable to change based on the children’s ideas. This allows the children to determine the nature and direction of their learning experience. We believe this kind of environment inspires individual creativity, expression and resourcefulness, stimulating children to reach their potential. At Sydenham Kindergarten, we provide indoor and outdoor environments that are welcoming, safe, engaging and age appropriate. Our kindergarten features a large bright and airy room that allows for flexibility in our play experiences and programs. We have two great outdoor areas complete with a veggie garden for children to prepare and tend to. Our grounds also feature an amphitheatre, a large synthetic-grassed area, two sandpits, a large rubberised area, and an outdoor blackboard. The outdoor play areas are spacious, well sheltered and have fixed and rotational play equipment. We believe in the importance of being SunSmart and ensure the children are protected from the sun while at kindergarten. Sydenham Kindergarten is the perfect environment for your child to engage in plenty of adventures while developing and refining both gross and fine motor skills. Above all our grounds allow children to be children!